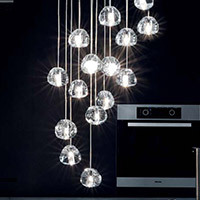 Get cooking with modern kitchen lighting, furniture and all of the unique accents that bring personality to the space. Creating a successful kitchen space helps to ensure your recipes and culinary creativity doesn't go unnoticed while also providing a space for family and friends to gather. 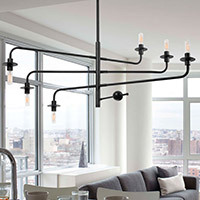 With the right combination of lighting including ceiling lights, island suspensions and cabinet light fixtures, eye-catching furniture like chairs, barstools and a well-designed table, and useful accessories made with contemporary design in mind, you'll have the kitchen of your dreams in no time. 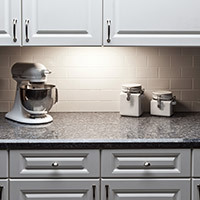 Considering you'll be working with sharp knives around a hot stove, the best kitchen lighting begins with bright task lighting. 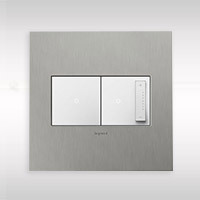 At the same time you don't want such lighting to take up valuable counter space, so you'll want to consider out-of-the-way fixtures like adjustable spotlights and under cabinet lighting. 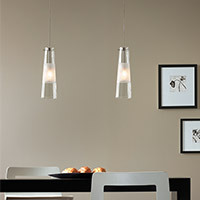 Meanwhile, the long and lean dimensions of an island or breakfast bar require a linear arrangement of lights for the best illumination (as well as endless decorative possibilities): either a configuration of two or more mini pendants or a linear suspension, with multiple lights conveniently pre-configured into one fixture. 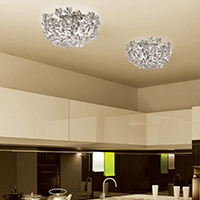 Or, consider a track lighting system to give you the flexibility and versatility any kitchen can appreciate. 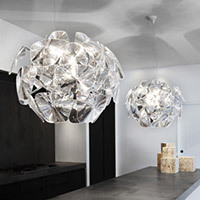 And if you're going to spend more time in the kitchen, why not up the drama factor with a flashy crystal chandelier or configuration of vibrant art glass pendants? Whatever you may need to complete the room, look to these different kitchen design ideas and styles to make the most of your kitchen. 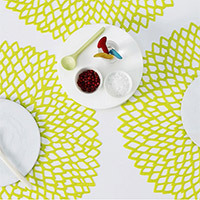 The kitchen has evolved from being strictly a workspace to another full-fledged living area in the home. What was once only a room for preparing food is now a highly-trafficked area of the home that you will have no problem showing off. 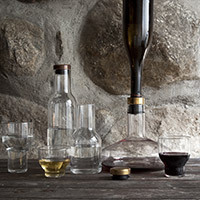 So, at that breakfast bar or nearby nook, comfortable kitchen furniture like counter stools and small dining tables encourage family and guests to linger with the cook -- and tie-in stylistically with furnishings throughout the rest of the home. 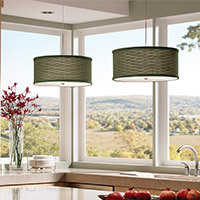 In more compact kitchens and breakfast nooks, you'll love a smaller dining set that allows you to quickly have a meal before moving on to the next part of your day. 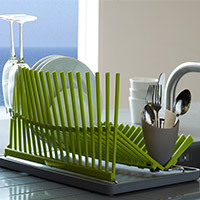 Storage solutions, including trays, carts and trolleys keep things neatly organized and out of the way (which is especially helpful in the kitchen when counter or drawer space is not available). And finally, look to a modern bench to set things when you are in a hurry or simply to provide another seating option in the room. With the right mix of chairs, counter or barstools and a contemporary table, you and your guests will enjoy spending time in the kitchen. 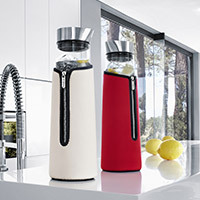 Once larger decor like kitchen light fixtures and furniture is in place, a variety of accessories allow you to truly personalize your kitchen and make working and entertaining in it a pleasure. 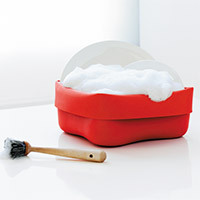 Mix things up (literally) with stainless steel utensils from Blomus or sleek pots and pans by Alessi. 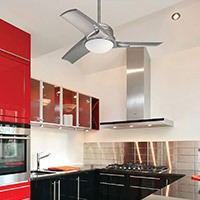 And in larger kitchens, it may be a good idea to add a ceiling fan to keep air in the room flowing and to avoid any stuffiness. 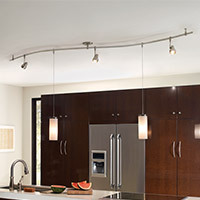 Look to the kitchen ceiling fans available from The Modern Fan Company for a sleek, contemporary design that pairs well with modern furniture and lighting implements. 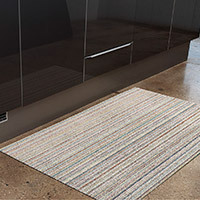 Finally, throw down a kitchen floor mat from Chilewich for the finishing touches and to keep your floors covered.